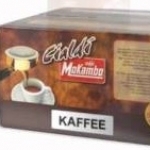 There is little doubt, Italians are World renowned Coffee Roasters, that’s why Valenti’s have teamed up with Caffe Mokambo of Italy to bring you their special blends of fine sweet coffee. Treat yourself to a cup of coffee and you partake in one of life’s natural pleasures. But this can only be achieved through passion, care and experience. All are merged in that very moment of the Espresso. In just a few seconds you obtain the perfect harmony of taste, body and aroma, Not only the best Arabica and Robusta ingredients selected but meticulous attention to every detail throughout the entire roasting process, using all the technical know-how. 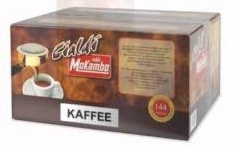 This is the secret of the Caffé Mokambo Espresso. 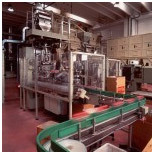 The production centre in Chieti Italy has been equipped with the most modern technology – from the silos where the green beans are stored, to the selection, blending, roasting, and packaging plants – where the entire process of coffee preparation is undertaken with care and professionalism. 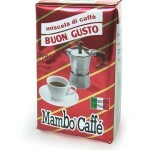 Mambos exceptional quality can only be guaranteed through the dedication, steadfastness, and passion of Di Nisio S.r.l. Thus assuring Mambo a prestigious role on the Italian and international markets. 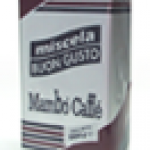 Mambo coffee products can be found at top establishments throughout the World including the UK. 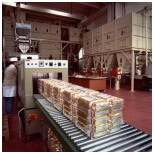 A fundamental role is played by the choice of the raw materials, carried out directly in the countries of origin, and then coffee is shipped to Italy. Once in Italy, the best batches undergo further scrutiny. Just one single unripe, woody or fermented bean can compromise the taste of many cups. For this reason, Di Nisio S.r.l. has adopted an exclusive quality control system. 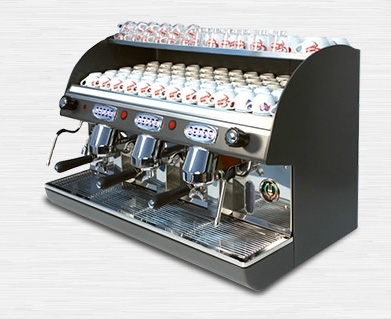 As a matter of fact it uses equipment with a bichromatic optical selection system, able to analyse each single bean up to thirty times and subsequently eliminate any unsuitable beans or impurities with an air jet. Only then can the beans pass through the tight control system to the roasting phase. The procedure, which can take from 10 to 15 minutes, is executed in four phases. The first two, endothermic, serve in the dehydration of the bean and the lessening of the sugar content. In the third phase, isothermal, the temperature reaches 200°/210°. The aroma becomes stronger and stronger and this is when many of the compounds that render an espresso so unique are formed, contributing that special taste of Di Nisio S.r.l. Mambo blends. 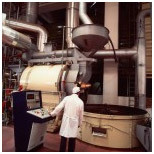 The heat curve is monitored via computer, because even when the heat supply is cut off, the coffee’s temperature continues to increase. Lastly the cooling phase, crucial to the final flavour. It must be rapid in order to condense the volatile aromatic essences. Every phase guarantees our customers a consistently superior quality blend time after time. Mambo coffee bean blends are specially packed in bags equipped with a one-way degassing valve This allows gases to escape whilst avoiding contamination with external air. In this way oxidation is prevented and the aromatic qualities are preserved for your pleasure.